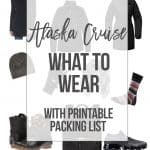 Alaska Cruise: Top 10 Travel Essentials includes a list of my top travel essentials to pack for your Alaskan cruise along with a few more optional items to consider. You may remember that my Mama, sister and I recently took an Alaskan cruise through the famed inside passage. Our cruise was a seven day, round trip cruise on the Ruby Princess out of Seattle and was a definite check on all of our travel bucket lists! 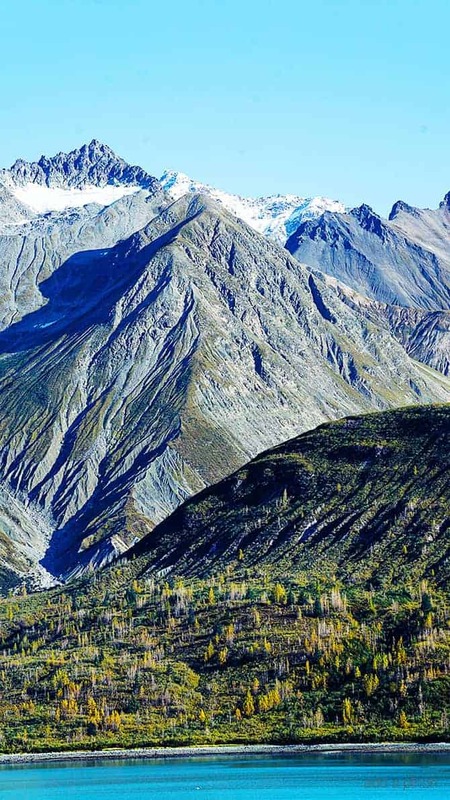 But, if you are like me, once you have decided to take a trip and have begun to plan your Alaska cruise, you immediately start thinking about what you need to pack! 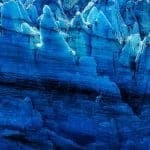 As I was preparing for our trip, I consulted friends and family who had taken Alaskan cruises previously for their advice on what I needed. And after so many questions, I made a mental note that I had to be sure and share with you my recommendations for travel essentials once I returned from our trip! 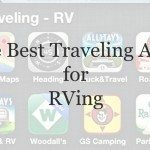 I have shared before about a few travel essentials that I always like to have with me as I travel. My list is somewhat different now so I snapped a quick photograph of some of my essentials that I just don’t want to be without when I travel. Don’t worry, I’ll share about what clothes to pack in another post! To begin with you’ll want to make sure that you have a great piece to serve as your personal carry on for your flight and cruise. Double check with your airline to make sure of the size and weight requirements for all of your luggage, but make certain that you use a piece that maximizes your carry on allowances without being cumbersome to you while you travel. Generally, I always use a tote when I travel, but for our trip to Alaska, I just used my camera backpack. It served as my personal carryon and as my daypack throughout the cruise. These are the items that I have in my carryon bag and are perfect for having with you on the airplane as well as when you board a cruise. I keep my passport, drivers license, credit card, room key, and cash in one safe and secure place that I can keep with me in my RFID travel wallet similar to this one. I also like to keep a copy of my passport, drivers license and credit card in our safety deposit box just in case anything happens. 2. Medicine – If you have prescription medicines, be sure to pack these in your carry on bag so that you have them with you. I understand that you should make sure they are kept in the original prescription bottle so that they are easily identifiable. I also make sure to bring a few other over the counter medicines like Tylenol, Advil, and allergy medicine, just in case. I also like to have these in my personal carry on bag so that they are with me throughout my travel day. 3. iPad – Rather than bringing my laptop, I now travel with my iPad that has a keyboard case. I love that I can do just about everything on my iPad that I can do on my laptop but it is so much lighter and more convenient to stow away in my bag. 4. Portable Charger – I fell in love with this super slim portable charger when we were traveling over the summer and now make sure to have one charged and with me at all times! 5. 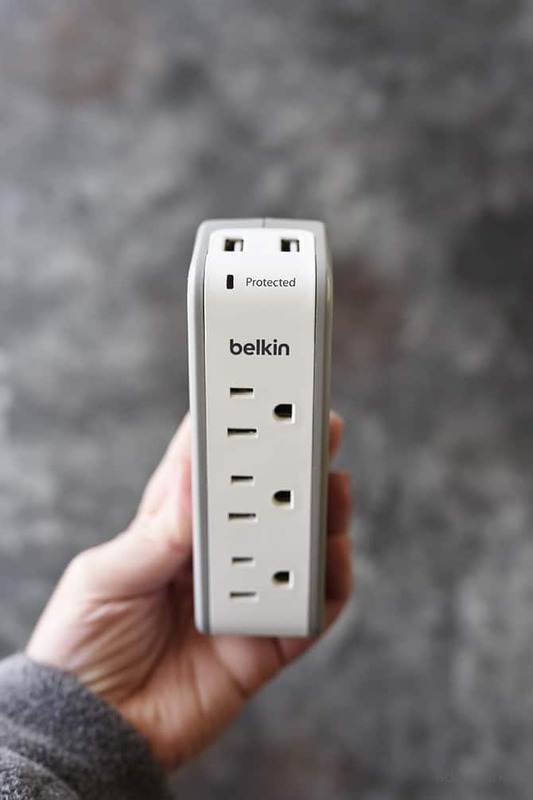 Travel Surge Protector – Okay, if you only remember one thing from this packing list, make sure that you remember this one. I have had mine for a couple of years and travel with it all the time. It is great in airports, on planes, and in hotels, and on a cruise! I love that this serves as a surge protector for all of my electronics that are plugged into it as well as the two handy USB ports. Since cruise ships have few electrical outlets in the cabins, this travel surge protector works perfectly for being able to safely charge multiple things at once! 6. 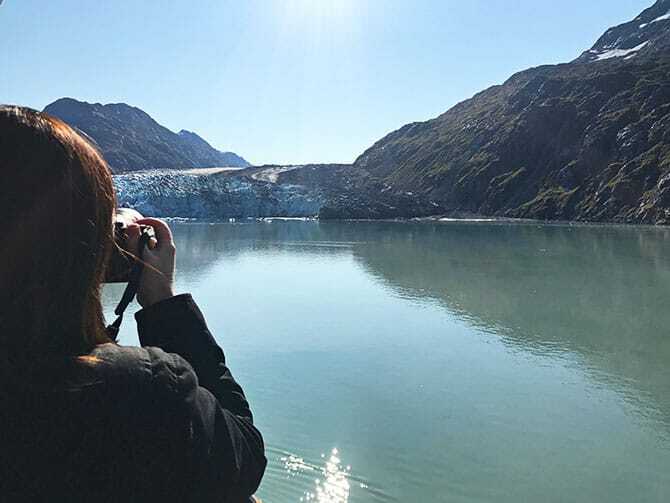 Cameras and Camera Equipment – An Alaska cruise is a definite bucket-list trip and you want to make sure you get great photographs of the trip! I love my Sony mirrorless camera for travel since they are lighter and pack well in my carryon bag. I used one while my Mama used the other throughout the trip. The larger one is the A7II and the smaller, more compact, is the A6500. There are pros and cons to each of these cameras. The larger A7II is a full-frame camera but does take up a bit more room. The A6500 is definitely more compact than the A7II but doesn’t have a full-frame sensor. Both of these cameras shoot crisp, sharp images without the heft of having to bring along my larger DSLR camera. Along with your cameras, you’ll want to make sure bring camera cards, extra batteries, and camera lenses for the types of photographs you plan to take. I brought the following lenses along on our trip: 16-35mm, 24-70mm, 70-300mm, but travel with the 50mm since it is the smallest in size. 7. 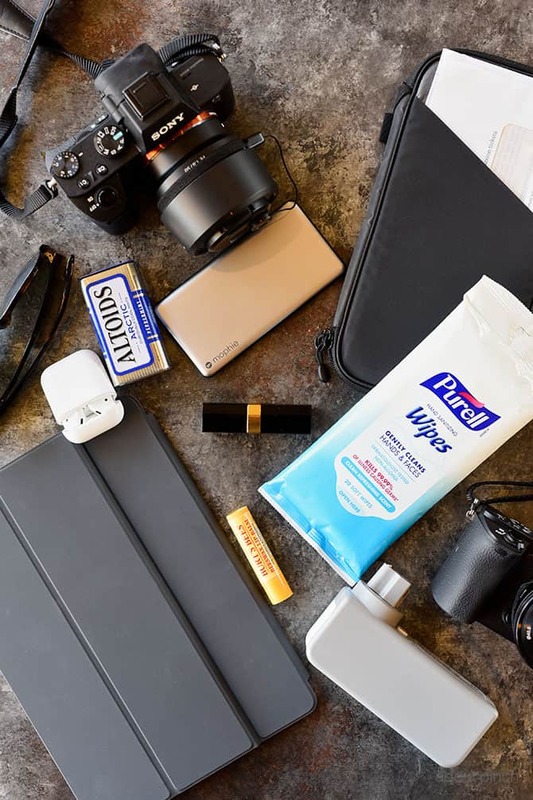 Antibacterial Wipes – I keep a tube of lip balm (as well as lip stick) in my purse or carry on bag, along breath mints and antibacterial wipes. The wipes are definitely TSA friendly since they are not a liquid and you don’t have to remove them from your bag. It is also nice that you don’t have to worry about leaks in your bag. 8. Earphones – I love to listen to music, podcasts, and audio books when I’m traveling. I have previously had a pair bluetooth earphones that I brought with me when I was traveling, but always felt like they were just too much. Too bulky on my head and took up way too much room in my bag. Then, I switched to smaller earphones, which were wonderful but I’d always get tangled up in the cords. I recently bought these airpods and don’t want to sound overly dramatic, but they are lifechanging! They are high on my essentials list for everyday, much less traveling! 9. 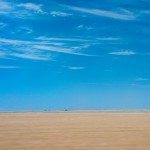 Sunglasses – While it rains a great deal in Alaska, you will still want to have your sunglasses with you since the weather can change in a blink to bright, sunny skies! I prefer a pair of good polarized sunglasses since they seem to make everything much clearer for me. If you forget your sunglasses though, you can definitely find them in the airport. 10. Travel Alarm Clock – I stashed a travel alarm in my checked luggage as a “just in case” item that I generally do not always carry with me on trips. I’ve found that my iphone generally works well for domestic and international travel and asking for a wake up call works well as a backup as well. But, in the case of a cruise in Alaska, you don’t have the luxury of depending on your cell phone. Since I wanted to make sure that I made the most of every moment so that I didn’t miss the spectacular views from our balcony, I was sure to pack my small travel alarm clock to help. I’m so glad I did. Binoculars – I forgot our binoculars, but was able to pick up a pair in Skagway at The Mountain Shop. They were also available for sale on board our ship in the photography section. I will say though that since I used my 70-300mm lens more than the binoculars. If you pack a longer range zoom lens, you may be able to forgo the binoculars. Sunscreen – My daily routine includes use of a sunscreen so it is always part of my skincare that I take along when I travel. If you are traveling during peak season, I would think you would also want to have sunscreen for your arms and legs in you are wearing short sleeves and shorts. Bug Spray – If you are traveling during the peak season, you can expect more bugs than in the shoulder season of May and September. In that case, I would recommend packing or purchasing bug spray for while on excursions or visiting ports of call. Motion Sickness Aids – I did not have any issues with motion sickness while on board the cruise, but came prepared just in case. I had packed along motion sickness bands and since my sister is more sensitive to motion, she used this motion sickness band that she swore by for relief. For more of this series, visit these posts. I would add a waterproof jacket to this list. You may see some rain and will wish you had one. I took layers as it can be cold and wet up there even in the warmer months. I am Canadian, and live in Alberta. Thank you for the information. 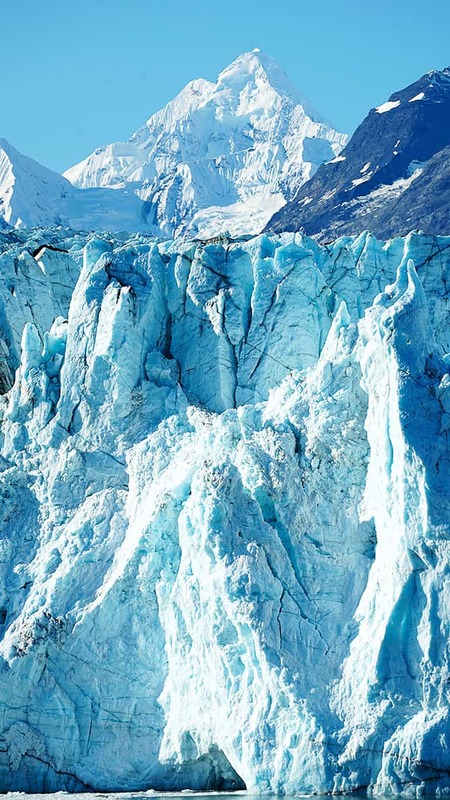 When my husband retires, we intend to take the Alaskan Cruise from Vancouver, BC, Canada. i have heard rave reviews about it. My cousin”s late uncle used to live in Ketchiken.